Michelle Baker has a Master’s degree in social sciences (Clinical Psychology) obtained from the University of KwaZulu-Natal, Pietermaritzburg and is registered with the Health Professional Council of South Africa (PS 0099732; PR 086 001 0305170). She also holds a master’s degree in Clinical Technology in the category neurophysiology (KTG 0000833 ; PR 7540301) She is an active participant in supervised training groups and continued professional development. She is currently working in association with an Educational Psychologist, Nigel Taylor. They practice together from Village Office Park, Unit 6B, 2 Inkonka Road, Kloof in Kwa Zulu-Natal, South Africa. Michelle works in general psychology with children and adults doing assessments and therapy with individuals, couples, groups, families, and schools. She works in a case specific manner to diagnose and treat various problems. She deals with diverse problems such, grief, anxiety, depression, ADHD/ADD (for both children and adults), neuro developmental disorders, a range of mental disorders, personality disorders, marriage counselling, sleep disorders and chronic illnesses. Whilst Michelle tends to prefer a behavioural medicine approach to her work, she is trained in various modes of therapy and selects the mode according to the needs of the client and the referral question. 1) Neuropsychology: with a focus on neurological conditions including Concussion, Traumatic Brain Injury (TBI), epilepsy, Progressive illnesses etc. This includes neuropsychology assessments, cognitive rehabilitation/training, family systems intervention and individual therapy. She works collaboratively with General Practitioners, Specialist Physicians, neurologists and a multidisciplinary team of health care specialists. Assessment includes basic cognitive testing, assessing for boarding and insurance purposes and medico-legal work. She is currently an associate member and has applied for full membership to the South African Clinical Neuropsychological Society (SACNA). 2) Sleep disorders: Michelle completed a mini-fellowship in insomnia at Penn University, Philadelphia, USA in February 2010 under the tuition of Michael Perlis, James Findlay and Phillip Gherman. 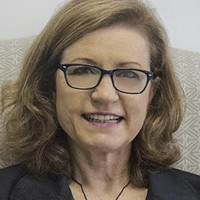 She is on the executive committee of the South African Society of Sleep Medicine (SASSM): Behavioural Sleep Medicine portfolio. She works in collaboration with numerous practitioners and sleep laboratories and performs home-based sleep screening for obstructive sleep apnoea. She is currently registered in the Department of Internal Medicine, WITS University, Johannesburg, RSA. Her research is in Insomnia. Her psychology training included an internship at the Midlands Complex in Pietermaritzburg and community service in KwaMashu, KwaZulu-Natal. She has been practicing as a clinical psychologist for 13 years. Prior to studying psychology, she worked in collaboration with neurologists and other health care practitioners in diverse cultural and economic health-care environments doing evoked potentials, nerve conduction studies and electromyography as a clinical neurophysiologist (Masters). She worked extensively in EEG, and polysomnography in recording, analysis and reporting. In association with colleagues, she inaugurated and managed the first private sleep laboratory in Durban, South Africa. Michelle trained students and moderated examinations on the board for clinical technology and radiography for the Health Professional Council of South Africa. She has presented her research in neurophysiology and sleep disorders (particularly sleep apnoea syndrome) at both national and international conferences and has two publications in South African journals. Michelle was also on the executive committee for the Sleep Society of South Africa from 1980 to 2004. Under the portfolio of education and training officer, she presented extensive education programmes on sleep disorders across the province of KwaZulu-Natal with medical specialists and health care practitioners. She lectured part-time on sleep disorders in the Department of Family-Medicine at Nelson Mandela School of Medicine in Durban, South Africa and was also involved in facilitative training for medical students on a part-time basis. She has effectively combined her work experience in sleep disorders and neuropsychology to offer her areas of special interest. Her modes focus on behavioural clinical health and evidence-based medicine approaches.